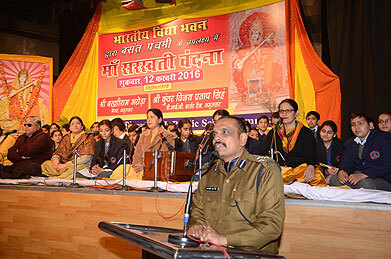 Basant Panchami is an important Indian festival. The significance of the day lies in the worship of goddess Saraswati .The festival is celebrated by farmers as the on-coming of the spring season. 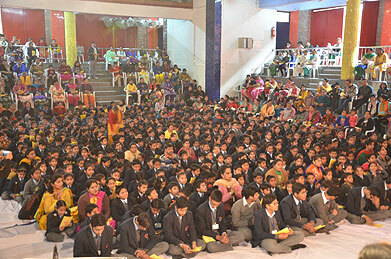 Basant Panchami was celebrated on the premises of Bhavan’s. 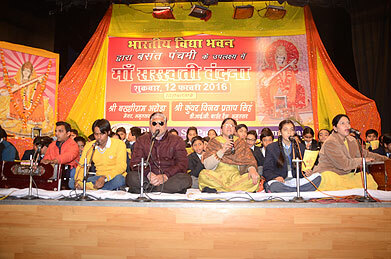 Bhajan Sandhya was organized to throw the light on the greatness and vastness of Hindu Culture. Maa Saraswati is the epitome of piousness. Today the need of hour is to improve behaviour to connect ourselves directly to God.